Drivers like you have enjoyed choosing between new vehicle finance rates starting at 0% for 72 months or up to $5,000 off cash purchases of select 2017 Nissan vehicles. The 5 Day Sale will provide you with an additional $1,000 in savings. 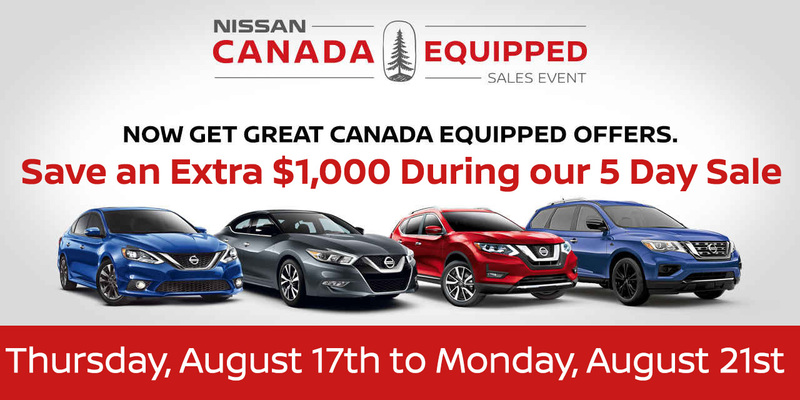 This is a limited-time offer from the factory, and it only runs from Thursday, August 17th to Monday, August 21st.